You are one step closer to getting into your genes! Our experts bring you meal plans that fit your DNA, lifestyle and health goals. 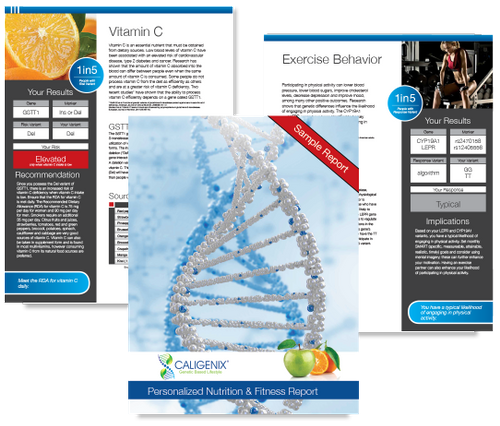 Includes a report review and consultation with a Caligenix Registered Dietitian. Easy to implement personal booklet. Includes a personalized nutrition & fitness report.